Some Avengers are faster and more powerful, but you might be surprised at which Avengers have survived this long. These select, heroic few Avengers are clearly hard to kill. 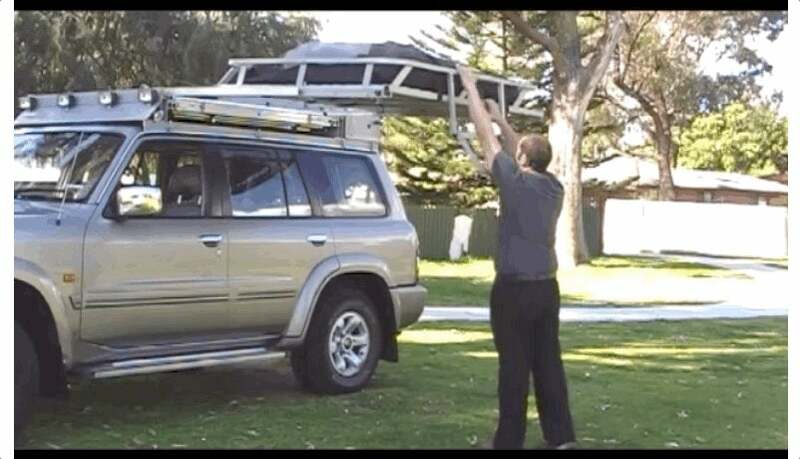 Every couple years, it seems like a new design for a roof rack that slides off and down an SUV comes out, is really neat, and then I never hear about it again or see it on people’s rigs. Why don’t these catch on? The philosophy behind big expensive cars with a lot of power used to be drastically different just a couple decades ago, where the most expensive new car on the road in 1997 was a twin-turbo Bentley that weighed as much as a house, and not some track-day toy that got you into special parties like the cars of today. If you already own a Dremel, you can make it do a lot more with this 282 piece accessory kit from Tacklife. Tucked into the carrying case, you’ll find accessories for sanding, grinding, cutting, polishing, pumpkin carving, and a lot more. Just use promo code Q77HX8YK at checkout to get it for $18. While plenty of teams and drivers have yet to reveal the cars they’ll be running in this year’s Indianapolis 500, I’m pretty confident when I say that Andretti Autosport has already blown all its competitors out of the water. Livery-wise, that is. When Heidi Hetzer hit her 70s, she decided she would do something different. She was going to drive around the world in her 1930 Hudson—and she was going to do it all by herself if she had to. Five years later, Hetzer has died at home in Berlin. Most personalized license plates are either inside jokes no one gets, tired jokes everyone’s sick of, or painfully convoluted ways to say something dirty without the DMV noticing. This plate, though, is very clever and fun, even if it’s sort of an extremely niche joke for design dorks like us. Comments about the new Acura NSX tend to get qualified as apologies. “It’s not the old NSX, but...” is usually how those sentences start, even when they accompany a rousing defense of the car.